As a 993 owner it goes without saying that i prefer old skool ways. My daughter however thinks i need to be brought up to (semi)date and has kindly downloaded some of my favourite CDs onto an old iphone of hers. Does anyone reccommend a method to connect my new found tech to my Becker GP? I presume there will be a cable of some sorts, Google throws up a few choices but unsure if there is a preferred option. I bought a cheap aux in cable on eBay for my old ipod (the one with the inch wide connector) to attach to my Cascade Pro - charges whilst the ignition is on, but you have to control tracks from the ipod. 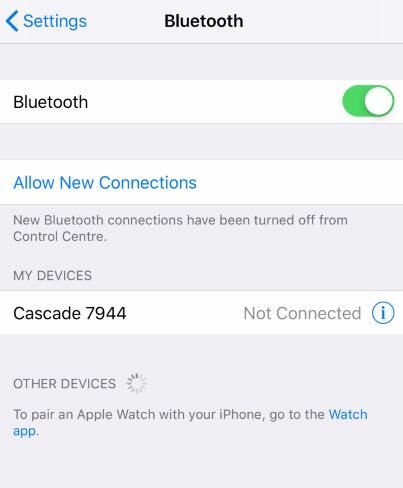 The Cascade won't Bluetooth with my iPhone 6 so can't make hands-free calls or play Spotify using the phone - not compatible apparently, which may be an issue if that's what you wanted. Not sure about a wired solution though. I've got a Cascade and iPhone 6 and they seem to connect okay via Bluetooth for calls, although it's not really a feature I use. Can't offer any technical insight I'm afraid as it was all set up by the installer. Possibly a software update on the Cascade maybe? Check out http://www.discountcarstereo.com they do a number of units that plug in instead of the CD player. I'm going to get the Bluetooth streaming one as my GP already has phone call connection. But the do a couple of others depending on your phone and which becker you have. Check the drop down menus to make sure your radio is listed. Here are three that I have seen, there maybe more options. Just to be clearer im only looking to use it for listening to music, if that makes a difference. How about one of those FM transmitter thingies? Do you have an older style ipod cable in the glove box?